Books cure everything. Almost everything and perhaps more. They just keep going at it. They do not stop. 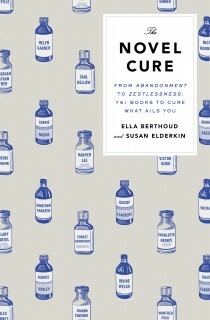 With this in mind, Susan Elderkin and Ella Berthoud, who started Bibliotherapy, have now extended it to a book called, “The Novel Cure: From Abandonment to Zestlessness: 751 Books to Cure what Ails You” which is a bibliophile’s delight. The novels recommended are for various ailments – from insomnia, for which The Book of Disquiet is suggested to Gluttony for which The Debt to Pleasure is recommended, most of which I have read, I want to reread and read the newer ones and most excited about it. There are also lists which are funny and nice and since I love lists so much, I also but obviously adore the way the book is formatted. I cannot wait to start the reading challenge I have set for myself, which will begin from the 1st of October. Losing your job can be a hideous blow, both to your pocket and your ego. The best way to deal with it is to try and see it as an opportunity—a chance to take a break from the daily toil, reconsider your options, and perhaps expand into new territories. Rather than conclude that you were a bad fit for the job, decide that the job was a bad fit for you. If you’re not convinced, consider all the occasions on which, in your job, you did not want to do the things you were asked to do. Like Bartleby. Herman Melville’s Bartleby is a scrivener, and when he first arrives for duty at the narrator’s law office, ‘pallidly neat’ and ‘pitiably respectable’. His employer thinks his sedate nature will have a calming influence on his other employees. And at first Bartleby does seem to be the model worker, industriously copying out letters in quadruplicate. But then he begins to rebel. When his employer asks him to check over his writing, Bartleby gives the response: ‘I would prefer not to.’ It soon becomes apparent that he will do nothing beyond the most basic elements of his job. If asked to do anything more, ‘I would prefer not to’ comes the inflexible reply. A due impasse develops in which his employer can’t bring himself to fire the scrivener because he’s so meek and seems to have no life whatsoever beyond his desk. And Bartleby will do only what he wants. Be inspired by Bartleby’s act of resistance. To what degree did your job entail compromising over what you really wanted to do? Bartleby’s rebellion saw him refusing to leave his desk at all. You, however, now have a chance to move on, and find pastures new. If you are sick of justifying your childlessness; if you are happy with your life as it is and don’t want to spoil things; if you think that the world is populated enough already; if you know that you’d make a useless parent; if you like your nights uninterrupted, and your cream sofa without fingerprints; then the next time someone asks you when they’re going to hear the patter of tiny feet in your house, send them this novel for Christmas. They won’t ask you about it again. To combat the physical and emotional agony of weaning yourself off an addiction, you need books that hook, compel, and force you to search your weather-beaten soul. Full immersion is recommended; as is the option of aural administration. These books are unafraid to heave you through withdrawal. This entry was posted in Books on September 27, 2013 by thehungryreader. Very few people know of Elizabeth Smart. I am sure a minimal population of readers have read By Grand Central Station, I Sat Down and Wept. Why is this a book you must read? Simply because it talks of unrequited love like no other. The story is of Smart’s love affair with the then famous poet George Barker. The writing is not linear. There are snatches of memory, of anguish, of envy (George was a married man), of how love is in its various forms. That worked for me more than anything else. 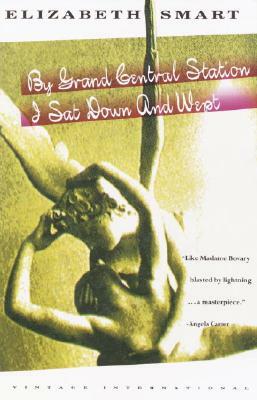 By Grand Central Station I Sat Down and Wept is an ode to all lovers. It speaks to any one who has loved with great passion and madness and then lost it all. The anguish is just heartbreaking. The simple instance of wanting to look at a lover’s face rings true for almost everyone. Such instances and more make the book what it is. This entry was posted in 2000 Books and tagged 2000 books, by grand central station i sat down and wept, elizabeth smart on September 19, 2013 by thehungryreader. You come across fiction all the time. You also tend to pick up a lot of which is highly recommended and then sometimes as a reader you are disappointed and do not know what to do with the person who recommended a book to you. Should you be honest enough in letting the person know that you did not like the read? Or do you not talk about the book or the author ever again to that person? But there are also times when people ask you to read a specific book and you love that book beyond anything that you might have read recently. This happened to me after I finished reading, “Eating Women, Telling Tales” by Bulbul Sharma. 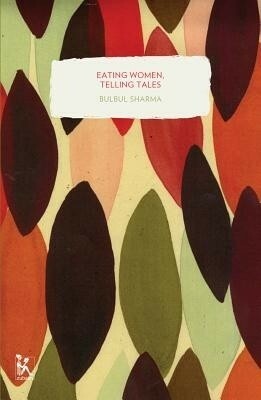 “Eating Women, Telling Tales” was first published by Zubaan in 2009 and now to mark their 10th anniversary, they have reprinted this classic with a new cover. There are 9 such titles as well to the collection. Now to talk about the book. The book is beautifully and poignantly written. There are about seven women who come together to cook a meal for guests on the occasion of their male relative’s death anniversary. They cook and while they cook, each of them tells a story. These stories are either of themselves or of women they know and somehow food is integral to each and every story. The vignettes are beautifully written – from tragic to funny to sometimes a satisfying turn at the end, each story is about food and women. Bulbul’s writing is clear, sparse and illuminates almost every aspect of life and what it takes sometimes to be away from home or to try too hard to be loved. Her women are traditional, grappling with the modern, trying to fit in and at the same time do not understand the new. They rather be embraced with their thoughts and mindsets, which but of course the only way it should happen. Even though in one story, a man takes the center stage, it is but the wife who is the strongest in it. Bulbul’s writing is playful and also mostly shows the mirror to the society and its inhabitants, who formulate such rituals which ultimately have no meaning and it is human life which is of most importance. A read to be reveled in and cherished for a long time to come. This entry was posted in Books, Literary Fiction, short stories, Zubaan and tagged Bulbul Sharma, cooking, Eating Women Telling Tales, food, loss, Love, men, short stories, Women, Zubaan Books on September 14, 2013 by thehungryreader. Everyone is mostly aware of his brother Gerald Durrell but for me Lawrence Durrell is way better than his brother when it comes to the skill of writing. His books touch the soul like no other, they literally wrench it with their descriptions of love and loss. Justine is the first in what is called The Alexandria Quartet. I do not know how to describe this book and I have read it almost seventeen times now, and every time I read it, it takes my breath away. The book is about four people (actually five, including the narrator) and their lives in war-time. Justine is about emotions – raw and in your face, the ones that threaten to tear your life apart and yet you are attracted only to them. Self-destruction in poetry is what Justine is about. The sentences sing – it is that fabulous a book. The descriptions want you to get on to a flight to Alexandria and experience the chaos for yourself. Time is of great essence in these books. It plays the central role – defining characters and their perspectives. There is no way to define Justine and what it does to me. It touches me on so many levels and you will only know of it once you read it. 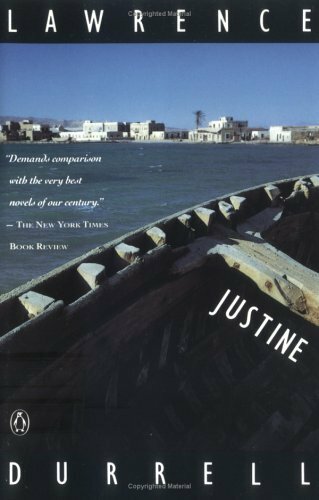 This entry was posted in 2000 Books, Lawrence Durrell and tagged 2000 books, 2000 Books You Must Read, Justine, Lawrence Durrell on September 1, 2013 by thehungryreader.